UK TV broadcaster Channel 5 have changed ownership after being sold to Viacom for a reported £450 million . It marks the first time that a FTA UK channel has been owned by a US broadcaster. Viacom, who own MTV, Nickelodeon and Comedy Central snapped up the UK channel owned by Richard Desmond’s Northern & Shell group, and said that Channel 5 is, “one of British television’s biggest brands” and will, “accelerate” Viacom’s UK growth. 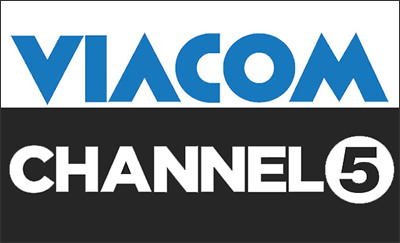 Viacom will also become owners of other Channel 5 subsidiary channels, 5* and 5USA, along with kids channel. Also included in the deal is the internet catch-up service, Demand 5. “Viacom’s global resources, technology and expertise will help Channel 5 develop even more compelling programming and provide content to consumers in exciting new ways. Channel 5 was a loss making outfit when Northern & Shell, bought it four years ago for £103.5m, and sale of the the channel drew interest from a number of interested parties including BSkyB, Discovery Communications, Scripps Networks along with Viacom.